Syrup-each time you pump out syrup it extracts 1 oz from the jug. The jug contains 128 oz. Good snow cone requires 4 oz of syrup so each jug will produce 32 good sno cones. 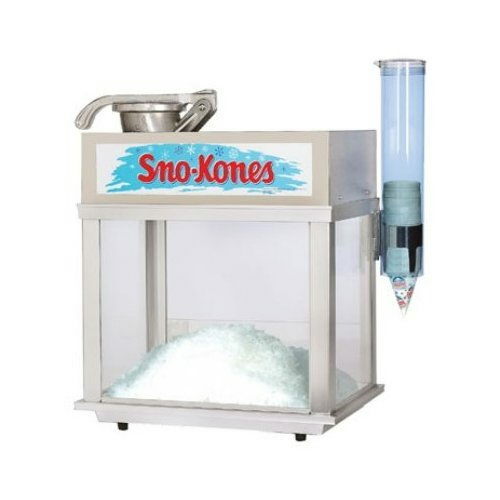 * Please call us for any questions on our sno cone machine rentals in Dallas, Fort Worth, Plano, Garland, Carrollton, Arlington TX, and DFW Metro Area.